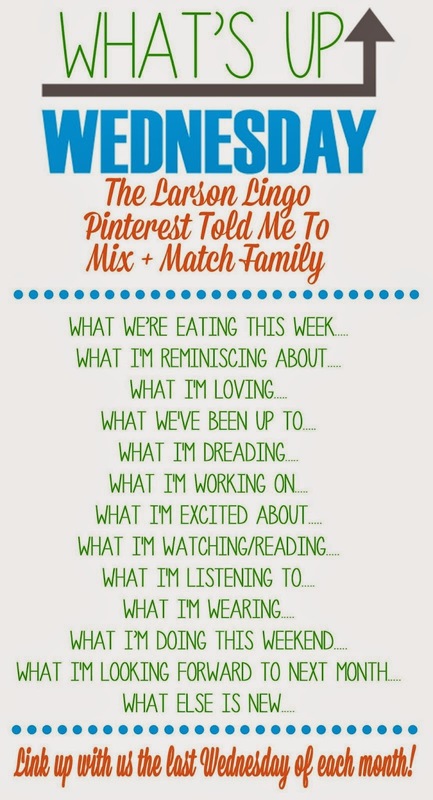 Linking up with Shay and Sheaffer for What's up Wednesdays. Love being in the middle of summer, I don't want it to end! And that's all we have planned so far. And this peach crisp. Actually it's all gone now, but I may make another round of it again. Summers in Cape Breton. Dave's parents are down there right now. Although I'm reminiscing about it, I'd still rather be here. They are not enjoying the hot temperatures that we are. I am loving the atmosphere in our city right now. Sure, we whined and complained about the Pan Am Games since they were first announced, but I think we eventually got over it and had a great time hosting the Americas. There is talk about Toronto making a bid for the 2024 Summer Olympics and I am all for it! It would seriously be my dream come true to be in an Olympic city. Running. I have been running every other day all month long. I love getting up early to run, and when I get to enjoy the cool morning air and the sunrise, it is definitely worth it! I can't really think of anything right now. I'm very fortunate to be looking forward to a lot of things. As usual, getting work done for the end of the month so I can bill it. Dave is working on getting the shed/garage finished. He got some cedar shingles to finish the sides. It will look great when completed, and complement the "cottage" feel of our backyard. We just booked our flight to Spain for October. The three of us are going to Barcelona and I'm so excited. This will be E's first overseas trip. I have been wanting to go to Barcelona for awhile and it is apparently a great place to visit in October when we have some time to travel. We are going for a week. We wanted to do a trip to a city where there are lots of things to do, and bonus for Barcelona is that there are beautiful beaches. If you've ever been to Spain, I'd love to hear some tips, especially for travelling with a preschooler. I'm still reading Edge of Eternity, it's long but I still love it. 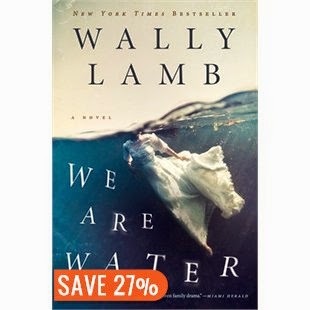 I've also put a hold on our next book club selection, We are Water by Wally Lamb. We are watching Homeland on Netflix. Looking forward to Bachelor in Paradise starting on Sunday!! It's all so ridiculous and I love it! As little as possible. I know that sounds more risque than I mean it to, but when the temperatures have been about 30 degrees Celsius (about 90 F) plus humidity and we don't have central air, it is hot!! I am not complaining because I prefer the heat to the cold winter, of which we have too much. So I'm wearing light dresses at home, and skirts and short sleeved tops to work. I wish I could wear this dress to work but strapless definitely doesn't fit in our dress code! 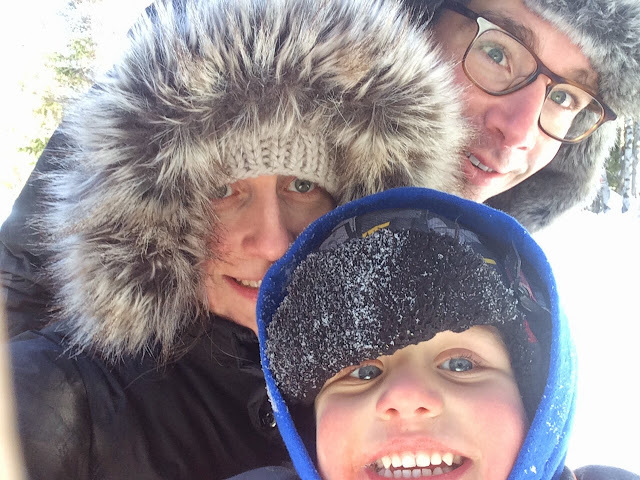 It is a long weekend in Canada (in the US too?). We are having some people over for supper on Saturday. I'm sure we will have a few other adventures. And I'm sure this little pool will be out in full force. Camping in Algonquin, visits from family, a few rounds of golf. I picked up some popsicle makers at Loblaws the other day and so I'm pinning recipes for homemade popsicles. Can't wait to try them out! I really think we are jumping the gun a bit here. I mean sure, a lot of the people who link up here live in the Southern US where temperatures are insanely hot for a long time, but here in Southern Ontario, I feel like we are just getting started. I don't want to talk about the end of summer until next month, k? I am in absolutely no mood to go back to this! !